In early April 2016, the Arduino organization announced a complete change in strategy for how Arduino users will code and compile projects. 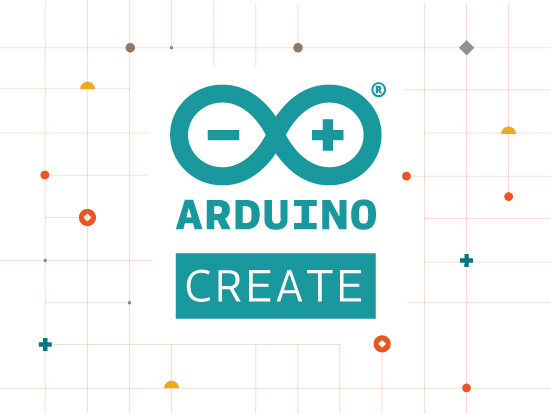 Arduino Create is a brand new platform that allows you to code and compile online, share projects, and tap into existing community resources with much less effort than has ever been possible before. Getting more serious about DIY electronics and circuitry but don’t have an extensive workbench setup yet? Test equipment is an important part of any workshop, and a digital multimeter (DMM) is one of the most important pieces of test equipment you can own. From measuring current and voltage, to testing capacitors, to waiting for the reassuring “beep” of continuity, you’ll pull out your multimeter for almost every project you build. GPS trackers are always interesting because they’re so versatile. Location-based services have exploded in the last couple of years, and are poised for more growth as we get further into the 2010’s. At the heart of all of these services is a GPS tracker, and a method of transmitting position data to a server, where a provider (or hacker) can do something useful with it. The Raspberry-Pi has been a media darling as of late, and deservedly so. It’s a full computing platform that can do many wonderful things, all for less than a few day’s worth of Starbucks lattes. But what if you simply need moah powah? In our previous Atmel tutorial, we talked about how to set up the powerful AVR Studio 5 IDE to incorporate Arduino libraries and projects. As flexible as AVR Studio 5 is, it had a few issues, and Atmel has been hard at work hustling the next major version out the door. Now, rebranded as Atmel Studio 6 (no longer just for AVRs! ), the new version promises to be better, faster, and easier to use. Here, we’ll show you the quickest way to get up and running if you want to use Arduino code with all of the new features. Note: This article explains how to set up the Atmel Studio 6 IDE for use with Arduino projects, step-by-step. It also notes on general setup for working with Atmel devices, background on the pros/cons of working with AVR Studio, and a few other tips. A table of contents is below; feel free to skip to any section that interests you. Following up on our previous post on understanding floating point math and speed of operations on 8-bit AVRs, we ran across an excellent article today on Arduino math optimization. Alan walks through his implementation of an exponential moving average algorithm. An exponential moving average normally requires floating point arithmetic, but due to the lack of native support on 8-bit AVRs, Alan worked out a way to do it with fixed point math. After some experimentation, he was able to get his version running quite a bit faster than the floating point version, and offers a detailed writeup and tips along the way. Just as we found in our brief testing, the easiest AVR math optimization is to avoid division, since these processors don’t have a native divide instruction. If you’re looking to squeeze every last drop of performance out of your 8-bit chip and can’t (or won’t) upgrade to something more powerful, check this out for some good ideas. A post on Embedded Lab that discusses using a CMOS camera for sensing applications caught our eye today. Traditionally, to process the output from a CMOS you need some serious number-crunching power, and common lore holds that most 8-bit microcontrollers aren’t up to the task. However, Ibrahim Kamal from IKALOGIC has written an article that explains how you can use a CMOS to replace rudimentary image or light sensors such as photo diodes. By reducing the captured resolution, discarding color data, and potentially converting the pixel values to binary information, you can still receive useful input but can parse it with a low-cost, low-power processor. In this way, an 8-bit chip can open the door to basic image processing, allowing for lots of possibilities in robotics or other projects. The article includes an example that hooks up a CMOS available on Sparkfun (the TCM8230MD) to an AVR XMega. For $10, you have no excuse not to try it in your next sensing project. As the Arduino surges in popularity, people keep dreaming up crazier and more complex ways to use it. We’ve rounded up five of the most impressive Arduino projects on the web to show what’s possible with such a versatile and inexpensive platform. Be warned – these projects aren’t for beginners, but if you’re looking for a challenge and something to brag about, they could be just the ticket. A new Kickstarter project aims to provide a low-cost, open source platform for building a GPS tracking device. The author, Wayne Truchsess of DSS Circuits, explains that a few years back, his brother in law had a PS3 stolen during a long power outage in the depths of winter. Not wanting to repeat history, Wayne bought a fake PS3 case on eBay and developed his own prototype position tracker to put inside it. The tracker consists of a GSM cellular modem, a GPS unit, and an accelerometer, all tied to an Arduino and a LiPo battery to provide brains and power, respectively. Normally, the device lies in wait, asleep to save power. If it detects motion, it turns on the modem and alerts a preconfigured phone number via SMS. The owner can then respond with various commands to turn position tracking on or put the device back to sleep.